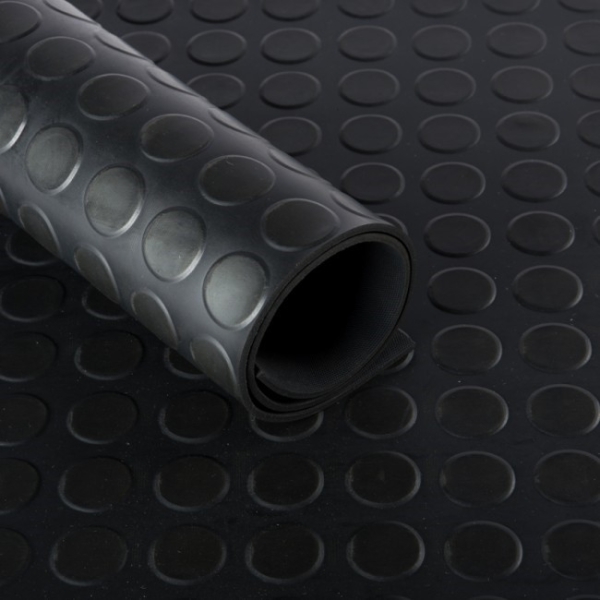 The stud surface pattern is more prone to scraping action and offers added grip for applications where dirt and moisture is prevalent. This ribbed flooring is used where protection and safety are of the utmost importance. For example: construction sites, airports, entryways, indoor/outdoor aisle ways, but also as industrial shelves, scraper mats, shelf liners, toolbox liners and van flooring. Entrance matting is fundamental to modern building design. A well designed commercial entrance mat system will prevent dirt and moisture from being tracked in and thereby not only prolong the life of interior flooring and reduce cleaning and maintenance costs, but also reduce the potential for slip injuries.